Fishing Report August 31, 2011 Jeff Sundin The early morning was gorgeous, the sunrise was wonderful and there were rays of light everywhere. The surface of the lake was calm and warm, surface temperatures were almost 74 degrees. It seemed like a picture perfect fishing day, but what about that? The Bass didn't like that nice weather or the gorgeous sunrise and for a while, it seemed like they didn't like us! On Tuesday morning, everything looked like it should be great for catching lots of Bass. The weather had been stable, the water was warm and we were on the lake early. Maybe it was the weather change, maybe the Bass just weren't hungry or hey, maybe it wasn't until my special Avian Assistant showed up and pointed us in the right direction at mid-morning. No matter the reason, it was kind of Ironic that we didn't do our best work until after 10:00 AM. For most of the early morning we had moved from one likely spot to another, we did get a few Bass, but every one of them was earned by working and they all struck different lures. It wasn't too easy to get a pattern figured out. We caught a couple in the Bulrushes, a couple in the Lily pads and a few in the deep weeds. The lake just didn't seem to be cooperating. Later though, during mid-morning, there were changes in the air. A breeze started kicking up and the clear sky started turning Grey. There was a very special Birdy that kept hovering over our heads and I think it pointed us in the right direction. We moved to a Bulrush point where there was a solid chop coming in. Just outside the Bulrushes, there was a mix of Coontail and assorted grassy weeds and now, the Bass were there and biting. In just a short time, we'd boated 8 or 9 nice Bass, some Rock bass and a couple of Northern Pike. We moved to the next point and caught another half dozen and then back to a spot where we'd already fished earlier and come up fishless. This time was different there too and we caught another half dozen Bass there. There was more than one way to catch them, but overall, the two best baits were a 3/8 ounce spinnerbait and a 5 inch worm rigged wacky style. Each of these accounted for about a 1/3 of the total catch and the last 1/3 came on Texas rigged worms and nail in the tail worms. The best areas to fish were Bulrush points adjacent to deeper water and with a mixuture of submerged weeds adjacent to them. The more elemnts combined, the better and if there were 3 or 4 types of cover together in close proximity, there was a better chance to catch fish than if trhere were only a couple. We speculated that the fishing picked up during mid-morning, was because of the incoming weather change. Maybe it was that which triggered the fish and made them active, but we'll never know for sure. I do know that I'm really looking forward to the two more days of Bass fishing that lay ahead and I'll keep you posted about how things go. Oh by the way, I'm always open to suggestions! (8/31) Bemidji Lakes Area and NMLOG Member, Paul A. Nelson says; " Labor Day Weekend is the last big weekend of summer vacation for many visitors to the Bemidji area. Once schools are in session and the hunting seasons begin, there will be significantly less boats on the lakes, especially on weekdays. Fall fishing patterns are beginning to develop in many lakes, even though surface water temperatures are still above 70 degrees in most lakes. 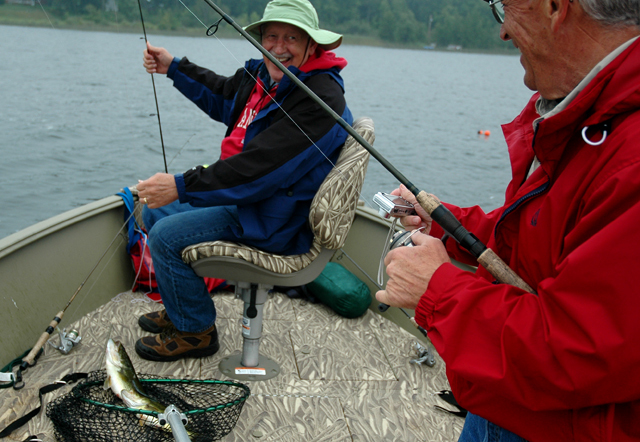 Anglers are seeing a movement of perch into the shallows in most of the larger lakes. There are also walleyes and northern pike using many of the same shallow flats as the perch. Most anglers are using jigs and fathead minnow for perch, which usually produces a mixed bag of fish. Walleye anglers are finding walleyes using several patterns in most lakes. There are walleyes on the deep edge of the cabbage weeds, on top of humps and bars and also along steep breaks on the sides of structure. Each day anglers face a new set of conditions on the lakes. Most anglers start out by varying the depth until they catch a walleyes or start to see fish on sonar. The process of “zeroing-in” on the depth of the most active walleyes is new each day and can take some time to figure out. Once anglers can establish a pattern, the catch rates usually increase significantly. Visibility in the lakes is still limited by algae, so some anglers are still using bottom bouncers and spinners for walleyes. Other anglers are beginning to switch back to live bait rigs and jigs for walleyes with similar results to the spinner rigs. 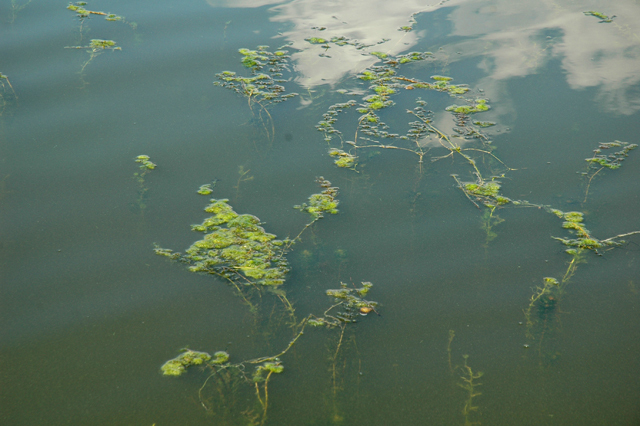 Algae in the lakes thrive during the hottest part of summer. Algae will begin to die-off quickly as the lakes cool in the fall. There will be a new layer of dead algae on the surface of the lakes each morning, with the visibility increasing in the water as the fall progresses." . 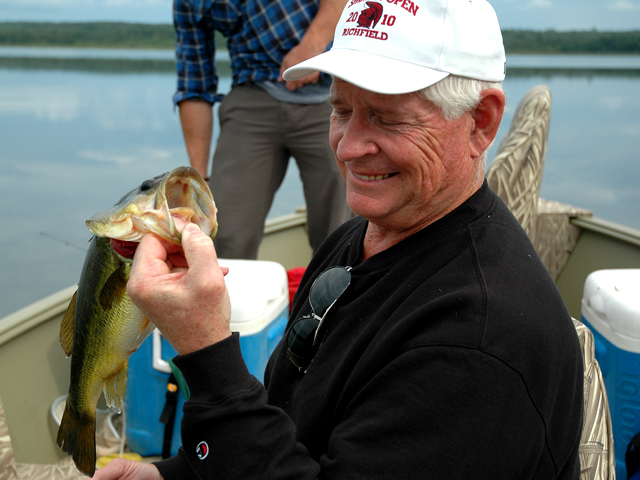 Click to contact Paul A. Nelson Bemidji Area Lakes Guide Service. 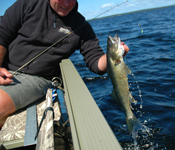 (8/31) On Lake of the Woods, Mike Kinsella from Border View Lodge, "Fishing continues to be phenomenal. Groups have been reporting high numbers of fish over 25 inches and several in the 29 to 30 inch range. Plugs, especially downriggers are doing exceptionally well. The north end of the basin has been especially hot. Anglers pulling spinners are also catching fish on the rocks and just off the reefs. Crawlers have still been the bait of choice. On the South end, fishermen are finding nice fish in the 25 to 30 foot range. Crawlers and plugs have been producing some nice limits. Fishing on this end has been less consistent but should continue to improve as we head into fall." (8/30) From Wired2Fish, " I finally woke-up and discovered my mentality for chasing walleyes exclusively with live bait had me missing-out on a red-hot artificial lure bite up in the shallow weeds." 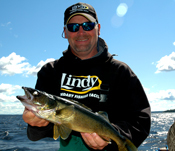 Said Al Lindner in his recent article about Walleye Fishing With Artificials, Get Al LIndner's Article Here. 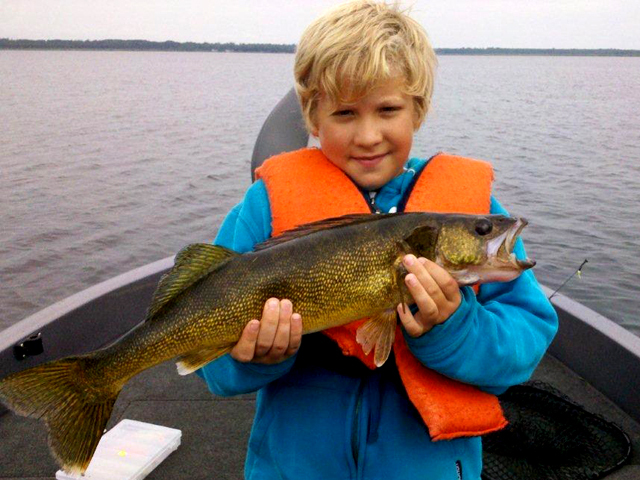 For Lake Winnie, Walleye fishing information about the big lake is always covered at the Bowen Lodge Fishing Report. You can check the Bowen Lodge weekly updates any time, just click here to return to the current Deer River fishing report page. Fishing Report August 30, 2011 Jeff Sundin Late summer, warm, sunny days and cool nights, it won't be long now. When we wrapped up and left the lake on Sunday, the surface temperature on Bowstring was 75 degrees. When we arrived at Bowstring Lake on Monday morning, the surface temperature had fallen to 71 degrees. Cooler over night temperatures will continue moving the water temperatures down and as they do, we'll see new fishing patterns develop as the pre fall fishing period rolls in. On Monday, everything that I learned the from day before had changed. Most of the fish that had been located on mid-lake bars in 22 feet of water had disappeared. Fish that had been located on the weedlines were gone too. It was like they packed up and moved to another lake. We covered a lot of ground and looked at a lot of empty structure until we looked at a big flat on the South side of the lake. The flat runs from the shoreline, out into the mid-section of the lake about a 1/4 mile and then drops into 24 feet of water. Over the top of the deeper stretch of this flat, there were dozens of hooks on the Humminbird. Baitfish and Walleyes were hovering 6 to 8 feet below the surface and spread out horizontally over a large area. The same patterns that have been working over on Lake Winnie, can be used here. Trolling with small, shallow running crankbaits or using Crawler harness spinners, set at the correct depth will get your bait into the kill zone. Since the water is warm, fish are still active. Trolling speeds of 1.1 to 1.4 will trigger Walleyes. Go much faster than that and you're asking for Northern Pike, which on Bowstring, can be a problem. The small Pike have a way of getting between you and the fun, if you know what I mean. Before I forget, On Sunday, the fish were located on mid-lake bars, especially the soft bottom ones. Bars (reefs) that had a lot of rocks on them seemed to be holding Pike, but not Walleye. 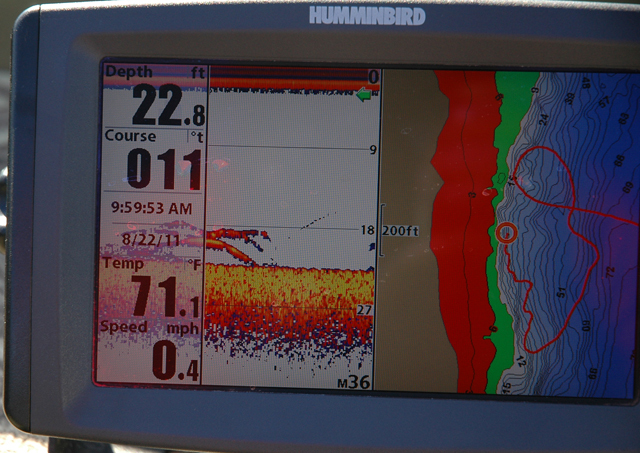 The sand to mud transition areas on many of the mid lake humps was a key area and we could easily mark fish on the Humminbird as we cruised the edges. The fish may return to the structures periodically as the transition to fall fishing patterns progress. If they do, we discoverd (on Sunday) that a great way to capture the better size Walleyes was by using Lindy Rigs tipped with a mix of 5 to 7 inch Redtails and Creek Chubs. We caught plenty of the smaller, 12 inch Walleyes on night crawlers, but the larger fish we caught came mostly on the larger, live minnows. Just to help prevent bite-offs, I rigged the six foot leaders using a 17 pound fluorcarbon line and a #2 Octupus Hook. Fishing Report August 28, 2011 Jeff Sundin Saturday morning was almost a re-run of Friday. A calmer, cooler, but really nice, late summer morning. Our first stop was to try and catch some Crappies and again, we found some semi-active fish and put in the time it took to get enough for the shore lunch along with some fish to send home with the crew. Without a chop on the surface, the fish were more sluggish and the larger 1/8 ounce Fuzz E Grubs that we'd used on Friday were now too heavy for this job. I tied on a variety of smaller jigs to see what the fish liked today. Soon, it was clear that the Chartreuse Yellow, 1/16 ounce Whatsit Jig was getting the lion's share of the action. For a while, the fish really resonded well to that bait, especially when we gently pulled the bait a foot or two above the top of the school. After a while, the action started slowing down, but we still had some time and still needed some more fish. I started experimenting with baits and it seemed like every time we'd try a new selection, 2 or 3 fish would get fooled right away, before they got hip to the new presentation. After that, we'd need to tie on another new lure. It was kind of fun though , I just started tying on fresh baits and passing the poles around. This was good for me, because it gave me a chance to run through a bunch of lures in a hurry to find out what the liked. Some of the baits that worked well and that I plan to use again were the Fat Boy, the Frostee jigging Spoon, the Whatsits and I'll keep the Fuzz E Grubs in the top drawer. After lunch, Walleye fishing was the new goal. By now, the surface temperature was almost back up to 74 degrees and the lake had a very slight chop. I had a set of rods already rigged for fishing deep and before I switched all of the rigs, I though it would be a good idea to scan some of the mid lake structure on Bowstring Lake. There were scattered fish showing up in the 20 to 22 foot range on the outer edges of mid lake humps. Not a ton, but enough to make it interesting if they would bite. The rigs were simple, 3/8 ounce no-snagg sinkers and plain, six foot leaders, two with Leeches and two with Night Crawlers. On our fisrt pass we picked up one nice Walleye and one smaller one. On subsequent passes, there were strikes on a steady basis. We didn't catch all of the fish that struck and we didn't keep some of the smaller fish. But by the time we were finished, we had ten Walleyes in the cooler and a nice mess of Crappies too. Not bad for a sunny, calm day in late August. I think it may be safe to say that we're seeing the beginning of a "pre-fall" movement. If I'm right, there will be a short spurt of action for the next week or two, followed by a lull in the action. After that, welcome to the fall bite! Stay tuned! With the same crew today, the goal is to finish out the Walleyes and maybe find some Perch, so it looks like Bowstring may be seeing us again. 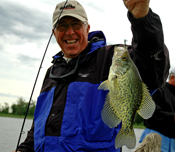 Fishing Report August 27, 2011 Jeff Sundin On Friday, you could almost say that we flipped a coin when deciding to fish for Walleye or Crappie. The plan was to fish a short day and we knew that we probably wouldn't have time to do a great job on both species in the same day. In the end, we decided to try our hands at Crappies, so we headed on down the path to the Crappie hole. While the action wasn't wide open, it turned out pretty darn well. On the lake, surface temperatures were hovering at 72 degrees and there was a little chop on the water. As I scanned the breakline with my Humminbird, I noticed that there were several really small packs of fish along the drop off. That's a good sign, but none of the packs looked large enough to stop and try. After about a half mile of crusing, I found one school of fish that looked better than the others, so we stopped here and dropped in our lures. At first the fish were sluggish, but once we caught three or four, the rest of the fish started getting on the band wagon. For a while, they struck fairly aggressively, but by the time we had a couple of dozen, the action was fizzling out. Hoping to get the last 5 or 6 fish, I started cruising again and finally found one more, smaller pack of fish. This time, we pulled out a few, but the rest of the school never got into high gear. All things considered, it was good, we ended the session with 27 instead of 30. If you apply the coulda, woulda, shoulda rule, we'd have had the rest, but ya can't count the ones that get away. The presentation we used was vertical jigging in about 20 feet of water, 3 to 4 feet above the bottom. The top producing jig was an 1/8 ounce Techni-glo Fuzz-E-Grub in the Shocking Yellow color. We had Crappie minnows along, but we didn't need them. The Fuzz E Grub's Maribou tail and a tiny artificial minnow tail added to the hook was enough to trigger the strikes. Today, I think we'll head West and pester my buddies over on Cass Lake. Haven't been there for a while and it's time to see if the fish are a little more cooperative now. Check tomorrow for a report. Fishing Report August 26, 2011 Jeff Sundin Calm seas, sunny skies and rising water temperatures were the theme on Thursday as I made my last visit of the year to "The Lunker Hole". This time, the Pike were very cooperative, but the sunshine made the Walleyes a little too shy, but there was a new twist this time. When we arrived at the lake, the surface temperature was holding at 72 degrees, the surface was like glass and the lake was quiet. There was an interesting hatch of some small insects floating on the surface and hovering over the tops of a large patch of weeds, there were thousands of Sunfish! We could could see them popping, swirling and dimpling the surface everywhere. The trip might have taken a left turn, right here, if they'd been larger, but after experimenting and catching 4 or 5 small sunnies, we decided that the potential wasn't that great and we'd stick with our game plan of Pike fishing. The Pike fishing turned out to be just what we'd expected. Fish were holding on the deeper shoreline related points and a few of the larger mid-lake bars. Our presentaion was Lindy Rigs using the No-Snagg sinkers to help keep us from getting hung up alot and we had six foot leaders tied with 17 pound test fluorcarbon and a #1 hook. The bait was 5 to 8 inch Creek Chubs and Sucker minnows and we fished them at about .7 MPH. For me, the idea of catching another giant Walleye never left my mind and I stuck with rigging Night Crawlers and Leeches all day long. I never pinned on a minnow, but this time, I never pinned a Walleye either. It wasn't until after lunch that the lake revealed what it had in store for us this time. Today, the lunker hole was offering up giants of a different stripe! As the day progressed and the water warmed into the 75 degree range and by now, there was a slight chop on the surface, just enough to make the fish a bit more active. The deep points and outer edges of the weeds began filling up with some really nice Smallmouth Bass. Even the small ones were really nice and the large ones were really, really nice! The Smallies were holding in about 21 feet of water, just a little shallower than the Pike and today, they were hitting the larger minnows on the Pike rigs. If we had abandoned the Pike rigs and switched over to more traditional Smallmouth presentations, I think we could have caugh even more of them. But the ones we stumbled into along the way were enough to make it interesting and we were still on our mission to get the rest of the Pike. Today, it's the same crew and depending on the weather, we'll try our hands at Crappie, Walleye or maybe even start looking for some magnum size Perch. Who knows? Fishing Report August 25, 2011 Jeff Sundin Blustery weather on Wednesday wasn't exactly what I'd hoped for in terms of having a great Sunfish outing. Fortunately, weeds on the calm side held enough fish for us to make a day of it. Water temperature of 72 degrees, heavy weed cover and a deep, green algae bloom in the water was a stark contrast to the high blue skies and September-like cold front winds blowing in from the Northwest. This day provided a little clue about the weather that lies just around the corner. Soon, the water will be clear blue again, surface temperatures will be dropping and the panfish will move out of the weeds and into open water. Soon, but not yet. On Wednesday, the goal was to try and find some trophy size Sunfish. We started the search at one the areas premier panfish lakes, but we struggled against the wind for a while and after a couple of hours battling waves and high winds, we realized that if we planned to catch any Bluegills, we'd need to leave and find some calmer water. We put the boat back on the trailer and moved to a much smaller lake where we'd have some protection from the wind and luckily, we managed to find a couple of small, but active packs of Sunnies in a mixture of shallow, Coontail and other assorted, sloppy weeds. Water depth was about 7 feet, adjacent to a breakline into about 12 feet. We found the first few fish by pitching 1-1/16 ounce jigs tipped with half of a night crawler toward the weed edges and working them slowly back toward the boat. For a while, the fish were active in the open water outside of the weedline, but eventually they tucked into the heavy cover. Now, we had to go into the weeds and root the fish out. We tried a few presentations but settled on a Orange and Brown, 1/8 ounce Whatsit jig tipped with Leeches or cut pieces of Night Crawler. Dropping the jigs into small pockets in the heavy weeds and fishing a few inches off the bottom, we would set the hook at even the slightest "tick". Before we left the lake, I took a look at some deeper, open water looking for signs of an early fall movement of Crappie or Sunfish. So far, the weeds looked like the only game in town, but as surface temperatures drop, panfish will begin to move out of the shallow weeds. Today, we have high hopes as we try the lunker hole one last time! Fishing Report August 24, 2011 Jeff Sundin Tuesday, was the perfect day for exploring for Panfish. Light wind and a mixed sky help extend the morning, low light period and gave me plenty of time to find an active school of Crappies. When we arrived at the lake, surface temperatures were hovering just below 72 degrees. The surface was calm and the mid-summer Algae Bloom still fairly heavy. There was a lot of surface activity in the weed cover, some of the action looked like sunfish working the surface, some were larger fish like Suckers, Dogfish or maybe Pike. When I started roaming around in open water, the screen of my Humminbird was mostly blank, but as I got closer to the shoreline and near the weed edges, small packs of fish started showing up in about 22 feet of water (View Screen). At first, it looked like there might be enough fish to make a day out of it, but I wasn't too convinced. But when I spotted the first nice looking pack of fish, Bill Linder dropped in his jig and had a nice Crappie on the line almost instantly! He did that a couple of more times before Steve Landwehr and I got in the game and started bringing in a few of our own. Apparently what the fish lacked in numbers, they made up for in aggression. There were spurts of action when I'd locate a new pack of fish and slow-downs when they ( or I ) moved away. But overall, the action was steady and it looks like we're on the path to some good Crappie fishing over the next few weeks. We used an 1/8 ounce jig head tipped with a small plastic tail. I had some Crappie Minnows along for the ride, but this time we didn't need them, next time could be different. The trick was to drop the jig into the pack of fish and then bring it back up a couple of feet above them. I could see the fish lift up on the graph and when they did, they usually struck the bait. Today, we're going to work hard at finding some nice Sunfish on a couple of new ( to me ) lakes that are small enough to protect us from the mega winds that are predicted. Check in tomorrow to find out how we do. (8/24) Bemidji Lakes Area and NMLOG Member, Paul A. Nelson says; Water temperatures in the lakes in the Bemidji area are still holding in the low 70s, so summer fishing patterns are still holding on. Anglers are using faster presentations for walleyes which include bottom bouncers and spinners tipped with leeches or night crawlers or trolling crankbaits or minnow baits on the weed edges, shoreline points or large flats. All of the larger lakes are producing walleyes, but the bite can also be tough on all of the lakes when the conditions are wrong. Days after cold fronts and storms or hot days with little wind can still be tough for light sensitive species like walleyes, muskies and crappies. There is good news on the horizon with cooler temperatures predicted for the last week in August. Once the water temperatures cool into the 60s, changes will begin to happen in the lakes. There is a big movement of perch into the shallows in most of the larger lakes in the late summer/early fall, which makes it one of the best times of the year to catch jumbo perch. 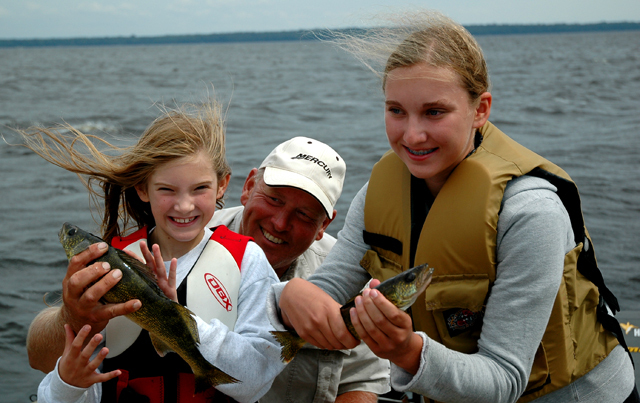 Leech Lake has the best population of big perch in the area, but there are also harvestable perch in lakes like Bemidji, Cass, Pike’s Bay, Plantagenet and Winnibigoshish. Anglers can find perch by putting on a jig and minnow and drifting or trolling the shallow flats until they make contact with the fish. Perch travel in large schools in the fall, so the trick is finding the schools and the rest is usually pretty easy. Muskie fishing is picking up and should be good through the fall. The lakes are still pretty green from the summer algae blooms, but once the lakes begin to cool down the algae begins to die off, the water in the lakes will gradually get clearer as the fall progresses. With hunting seasons and schools in session soon, the fishing pressure on the lakes begins to drop-off, just as the fishing is starting to improve, which makes fall the favorite season of the year for most fans of the great outdoors. 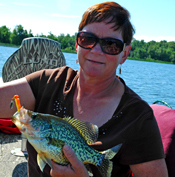 Click to contact Paul A. Nelson Bemidji Area Lakes Guide Service. 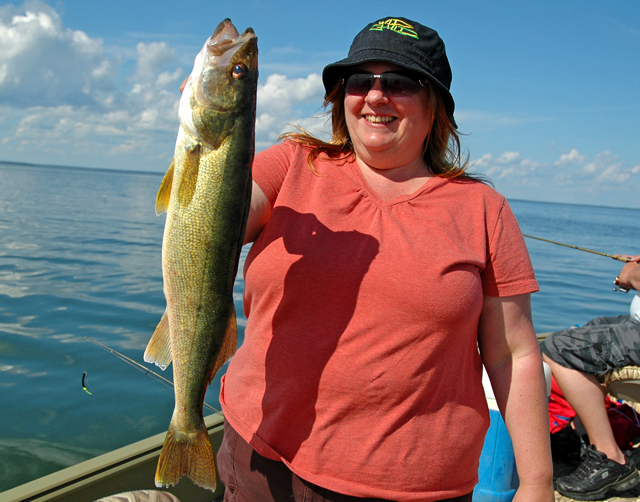 (8/24) On Lake of the Woods, Jacki Lavalla from Sportsmen's Lodge says "Good walleye fishing hasn't skipped a beat at Sportsman's Lodge and Lake of the Woods. Trolling in northern areas of Big Traverse with crank baits continue to bring in nice limits along with a trophy or two per boat per day." The weather forecast looks nice in the 70's this week, may get some wind the next few but the rest of the week looks perfect. 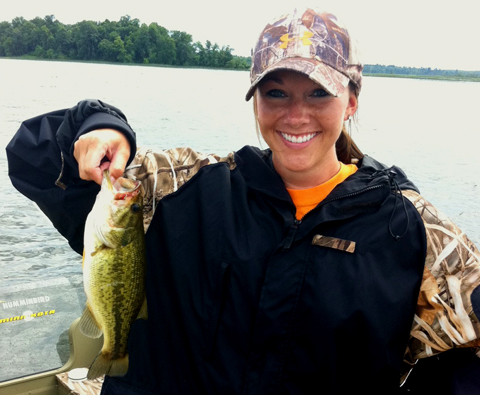 Take advantage of Summer's Last Blast Fishing Special now thru Sept 5. $50 in savings per person! Give us a call for details and availability 800-862-8602. (8/24) On Lake of the Woods, Mike Kinsella from Border View Lodge, "The north end of the lake continues to produce nice limits of walleyes and sauger. Fishing with downriggers has been very, very good. Lots of bigger fish are being caught on the open water and around the reefs. Bait fishing is working well on the rocks and around the reefs. Crawlers are still the bait of choice for most anglers. Some anglers on the south end have been reporting nice catches in 23 to 27 feet outside both the Lighthouse and Morris point gaps. Gold or pink crawler harnesses have been a hit with the walleyes and sauger. Action on plugs has also been good at times in the same areas." (8/24) On Lake Winnibigoshish, John Seekon from The Pines Resort, Advises that Walleyes are being caught along the north shore in 8 to 14 feet, either on a spinner and a minnow, or trolling crankbaits. 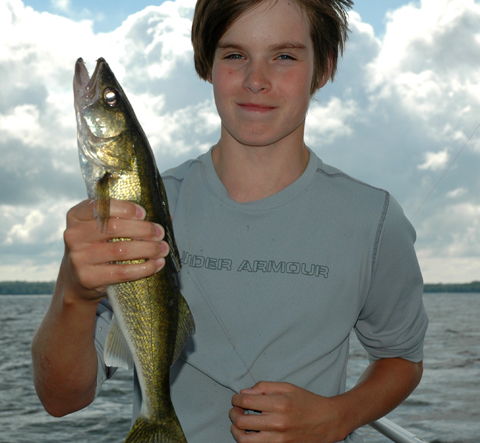 John says that there are huge schools of young of the year perch, and when you find these, you find the walleyes. Perch have also been biting on jigs and minnows on the north and west side rocks. (8/24) On Dora Lake , Kyla Haag from Dora Lake Lodge, Said, "We are starting to see the fall fishing turn on. The walleyes began picking up last week out on the weed edges, slip bobber and a minnow was working real well with some success on beetle spins as well and the jumbo perch are biting in about 9 feet of water. The northern pike are still acting hard to get but we did see some picked up in the river this past week. Nothing to big but some good eaters got caught. Hopefully we will continue to see some good walleye action this week! 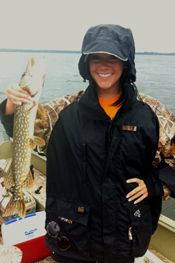 (8/24) On Lake Winnibigoshish, Click here for an updated Lake Winnie Fishing Report on the Bowen Lodge page. (8/24) On Leech Lake, Darcy Tonga from Tongas Launch Service, gave me some good news by telling me that the perch fishing has been good lately. There was a little spurt of Crappie action starting up, but they're still looking for more improvements in both crappie and walleye activity. (8/24) On Bowstring Lake, Darv Oelke from Bowstring Shores Resort reported that the Walleye fishing is still holding up. He said; "Walleyes are active near the rock pile in 7 to 9 feet of water. The fish don't seem to have much preference for presentation right now and he added that if you can get in front of them, they'll probably bite. They have been caught on a little of everything. Perch are Mixed with the Walleyes and there are a few, but not a lot of Crappies being caught near the rock pile as well. Fishing Report August 23, 2011 Jeff Sundin Monday was one of those days that I really had the urge to go deep. The sun was shining, the wind was calm and the morning sun was warming the day up fast. Lucky for me, when I suggested fishing one of our deep, clear water lakes for a mixed bag, the crew said okay. When we arrived at the landing, the water temperature was 72 degrees and the parking lot was empty. With all of the sunshine, Walleye anglers weren't too interested in this lake today, but we had Northern Pike in mind and thankfully, they had us in mind too. The system isn't complicated. Scanning the breaklines, deep points and mid-lake bars will reveal schools of baitfish along with any larger fish lurking in the area. Todays electronics reveal every detail and the only trick is figuring out for yourself what you're seeing. For me, clues about the kind of fish I'm looking at help me figure out how to rig up to take advantage of what I spot down there. On Monday, fish that looked to me like Walleyes, were holding on the main breaklines in about 22 feet of water. We made our first pass on a good looking spot using one Lindy Rig with a Night Crawler and two heavier rigs tipped with large minnows. Nothing on that pass, so we moved down the shore to another point. On the point there was a school of baitfish in 35 feet of water and some thinner, darker hooks that looked to me like Pike. This time we dropped in the minnows and got hit immediately. Now, the makings of a pattern were revealed. Nice, Chunky Pike were holding on this and other shoreline points in about 30 feet of water. Once we knew that, it was only a couple of hours before we had all of the Pike that the crew could take, plus one extra on my limit for our shore lunch. That's all, we're done fishing Pike now, leave the rest of them alone. Dragging Pike out of deep water is un-believably hard on them and even though they may appear to swim away healthy, they are likely damaged by the struggle. There are times when we all want some fish to eat and that's okay, but this particular method should be viewed as a form of harvest and not as a sport. After lunch we headed back out to look shallower and try to trigger some strikes by the Walleyes we'd spotted earlier. We did mange to have a little action and I'll get to that later, but I have to run right now. We're hoping to beat the heat today by getting an early start. Fishing Report August 22, 2011 Jeff Sundin A somewhat wet, but calm day on Sunday was a welcome change from last weeks turbulent weather. Calm seas gave us a chance to do some exploring for new territory and luckily it paid off. With surface temperatures falling and days becoming noticeably shorter, fish are in a transition mode and can be found in small schools almost anywhere from flats to rocks to weeds. On Lake winnibigoshish, the recent trend has been to work the Walleyes that are located on mid-depth sand flats out in the center of the main lake. It's been working fairly well, especially for the most creative anglers, who figure out the subtle differences in the trolling pattern from one day to the next. The problem is, that the most popular spot has been fished hard for a couple of weeks and on Sunday, it was easy to see that most boats weren't getting the action dialed in. We weren't either. Fishing with my pal Chad Haatvedt, co-host of our KAXE Thursday morning radio program, we had planned to do some experimenting and had high hopes for finding some new schools of fish. Moving a couple of miles away from the crowd, we spent an hour or so cruising the flat in 13 feet of water and watched the Humminbird for signs of fish roaming the flat. It took a while to find a school of fish to work on, in fact we had almost given up on the area. While we were discussing the next move and planning our time deadlines, WHAM, the first aggressive Walleye took the bait. Once we caught our first Walleye and marked the spot, other fish in the less pressured territory started coming into the boat a lot faster. If we'd stayed longer, it would have been no problem to catch our limit. In just a bit over an hour, we caught 8 keepers, a couple of larger, slot fish plus a few bonus Pike and Perch. Trolling at about 1.2 MPH using Lindy's crawler harnesses did the trick. We fished the spinners a few feet above the bottom, which helped cut down on the number of small Perch picking the night crawlers apart. Like many anglers, I've been over-trained to fish Walleyes on the bottom, but now I'm seeing the benefit of using a line counting type reel to calculate your trolling depth. It takes a lot of the guess work out of the equation. Using a 3/4 ounce No-Snag Sinker, it took 36 feet of line to touch the bottom. We experimented with trolling depths untile we settled in at about 29 feet, which seemed to give us the best performance. Every day the magic number is going to be different, but this gives you a way to figure it out a lot faster. The process of finding the fish can seem a little slow, but moving around the flats watching your electronics will get you to an active school much faster than trying to fish your way to them. You don't have to see a hundred fish on your graph, as soon as you start spotting some single hooks, you can begin fishing. The fish are aggressive and when you're on 'em. they'll cooperate. When I spot an area that's holding an above average school of fish, I mark it on the GPS and use this as a guide to repeat my trolling pattern. Fishing Report August 21, 2011 Jeff Sundin The fishing report for Sunday 8-21-11 will be posted later this afternoon. We're getting an early start this morning to accomodate a tight travel schedule. Please check back this evening. Fishing Report August 20, 2011 Jeff Sundin Almost every time I've ever needed a solid Walleye performance during mid-summer, I've called on Rainy Lake to help me out. On Friday, I needed a solid Walleye performance, I called on Rainly Lake and this time was no exception. The big lake didn't give in easily though, I had to earn my keep on Friday! Before we got our fish, we first had to battle the big Northwest wind and fight off some 3 to 4 foot waves, but once I got in the groove, the lake was more than cooperative. I remembered what I'd found out last week, the Walleyes were hitting better for me on Lindy Rigs than they were on jigs, so all three of us started rigging right from the beginning. Each of us rigged up with different baits to begin with, one Leech, one Night Crawler and one minnow. It didn't take too long to figure out that the fish wanted minnows and soon we were all using them. Creek Chubs, Redtails or even lite Pike Suckers worked as long as they were in the 5 to 7 inch range. As a bonus, we caught and released some decent size Pike along the way as well. Fish were located on mid-lake reefs, holding on deep points that extended into the deepest water. Our best fishing depth was 35 feet, with a few fish caught a little shallower, but none any deeper. Unlike last week, the fish weren't spread along the breaks, they were holding tight to these smaller points, so it's important to scan the entire reef before giving up. The mood of the fish was a little on the sluggish side and they didn't always bite right away. Once you find them though, they'll bite, but you may need to work on them a little bit to get the action started. I'll add more later, but I am on my way out the door, heading for the lake. Fishing Report August 19, 2011 Jeff Sundin Thursday, was a little bit better than Wednesday, but we are still far from what I would call a good bite. The weather did stabilize a little, but even today, there are threats of more storms, high winds and during the nigt, another line of thunderstorms graced the Deer River area. There was good news though, Walleyes are going to be on the rebound soon. On Thursday, from time to time, one of them would come along to lift our spirits. The best pattern going as far as I can tell, is using the spinners on the flats. Read some of the recent reports below and you'll you'll see that it's been a trend for a couple of weeks already. About our trip today, our best presentation was a Night Crawler harness with a gold spinner. Ours were the Lindy Spinners with the multi color "Redtail" finish and also the "Golden Shiner". Walleyes were suspended and vulnerable if you could get the bait in front of them. My friend Zach Dagel was on the lake too and he had the fish dialed in better than I did. He was trolling with the wind and using planer boards, he was able to keep the spinners running at about 8 feet deep over 15 feet of water. The fish liked that presentation and I think Zach's boat did as well, or better than anyone else out there. His presentaion was a 3/4 ounce sinker, #3 Gold Spinner and a line length of 20 to 25 feet. Fishing Report August 18, 2011 Jeff Sundin The storms that raised all of the ruckas along with the cold front that followed, gave Walleyes the sudden urge to snub us on Tuesday. For me, Tuesday was a downright humiliating experience as I tried everything I could think of to get one to stay on the hook. It's been the story of the past month, a new set of weather conditions every day and if you happen to be fishing in the wrong spot on the wrong day, well then it's going to be tough sledding. Most days, I've been able to figure out something, usually we get at least some Walleyes to bite, but this time I just wasn't where I needed to be. We couldn't get out on Lake Winnie because it was engulfed in whitecaps, so we fished Cutfoot Sioux instead, but the smaller, more manageable lake just wasn't letting go of any of it's Walleyes, at least not yet. Throughout the search, we did find some nice Perch which came in handy for our shore lunch and there were several areas where I located Walleyes on the Humminbird. The best we could muster though was to tease them into taking an occasional half hearted bite at our baits. If we fed line, they'd drop the bait, if we tried to set hooks, we'd miss the fish and when we finally did hook a few, they always got off the line, we lost every one of them! It was really frustrating! I have another trip on Winnie and Cutfoot scheduled for today and I'm hoping for a day without a storm, just so the fish have some time to settle back into some kind of a groove. If the case of Walleye lockjaw, continues, I'm going to switch to Perch and panfish a lot faster today. Here's what I do know. There are some nice Perch in the weeds at 6 to 9 feet of water. We caught many small ones on spinners, but they nicer size fish struck well on a 1/8 ounce Fuzz-E-Grub tipped with a fathead. Walleyes were gathered on the outer edges of the weeds in 10 to 16 feet, they were really easy to find on the locator, just hard to trigger. The Walleye "bites" that we did get, were on 1/16 ounce jigs tipped with Night Crawlers and Lindy Rigs tipped with lively Leeches. If the weather forecast is accurate, we should be able to cover some area on the big lake today and we'll see how that goes. I should have time to post a quick update tonight or in the morning, but I'll be out of the office for a couple of days as I head North on a special fishing assignment. I'll get the report caught up again on Sunday. 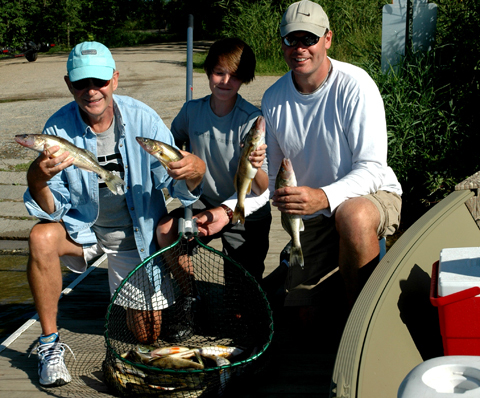 Fishing Report August 17, 2011 Jeff Sundin Weedlines are producing Walleye, Perch and Panfish as the late summer, pre-fall patterns continue to gain momentum. On Lake Winnibigoshish, there are still plenty fo fish out on the flats and also on the mid-lake bars, but for the best action, weedlines and shallow rocks are becoming the go to locations. Water temperatures remain warm, but now in the low to mid 70 degree range, they're down considerably from what they were just one week ago. Until the temperatures dip below 70 degrees, the late summer, "Labor Day Patterns" should continue to produce fish. On Tuesday, our best producing baits were Night Crawler Harnesses. There was so much wind that we were able to drift the weedlines using the drift sock and still maintain a trolling speed of about 1.3 MPH. Our best depth was about 9 feet of water, but the presence of weeds was more important than the depth. We caught some fish as shallow as 7 feet and others as deep as 11 feet, but only if there were weeds. We caught a few fish on Lindy Rigs tipped with Leeches too and with calm seas on the horizon for today, we may be doing more with this presentation. With the passing of the storm and a sunny calm day ahead, I'm expecting to work hard for our fish today, but it will be a good test of the weedline pattern. If there are a lot of fish, we'll do well. Check in tomorrow to find out. 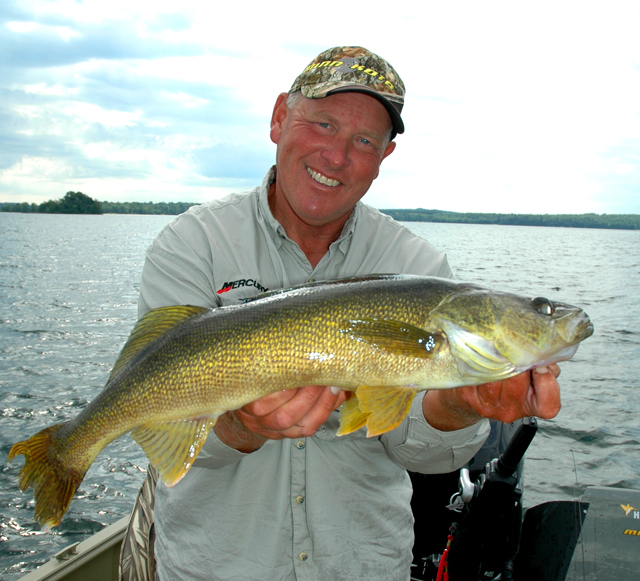 (8/17) On Bowstring Lake, Darv Oelke from Bowstring Shores reprted that Walleye fishing is still doing good. Some of their guests are catching them with shallow running crankbaits on the weedlines. Others are catching Walleyes on leeches and crawlers. There are some Crappies being caught near the rock pile in 6 to 8 feet of water by anglers using small jigs, some of Darv's guests like using "Little Nippers". (8/17) Bemidji Lakes Area and NMLOG Member, Paul A. Nelson says; "Surface water temperatures in the Bemidji area are holding in the low to mid 70s, so most species of fish are still in their summer fishing patterns. Anglers are finding walleyes on top of mid-lake bars and humps when the conditions are favorable and off the sides of structure during non-peak hours of the day. Walleye anglers are using bottom bouncers and spinners to locate active walleyes and then slowing down and using live bait rigs with night crawlers or leeches when an active school has been located. Perch anglers are finding perch on humps, flats and points with a mixture of rocks, chara and cabbage weeds. 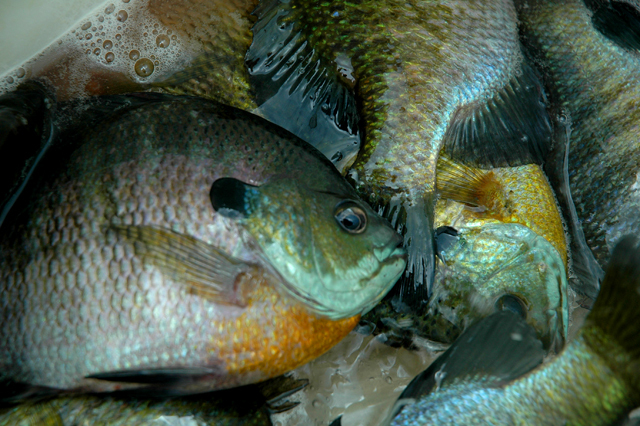 Perch are feeding on crawfish and young-of-the-year minnows and smaller perch, which have grown large enough over the summer to become viable forage for walleyes and perch. 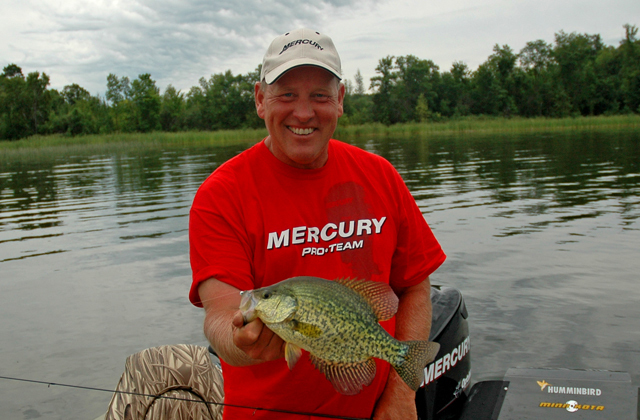 Crappies continue to feed in the mornings and evenings or when anglers can find some fish tucked under the weeds or suspended over deeper water during the day. Sunfish are using the edges of the green weeds, with some of the cabbage weeds starting to turn brown, which makes them less desirable to most species of fish. Northern pike have been active in the cabbage weeds on most lakes, with anglers trolling Northland Forage Spoons or larger shallow-lipped baits. Anglers are also using live sucker minnows under bobbers on the outside edge of the weeds for pike. Muskie anglers continue to catch fish, but the algae bloom prevents anglers from seeing most of their follows. Some anglers like more action, so they switch to smaller jerk baits so they can catch more pike while muskie fishing. Rainbow trout are another option in designated trout lakes for anglers with a trout stamp. Anglers can use down-riggers with smaller crankbaits, slip bobbers, or bottom fish with baits like night crawlers, commercial trout baits, corn or mini-marshmallows." (8/17) On Lake Winnibigoshish, John Seekon from The Pines Resort reports, "The walleye bite has been consistent on the weedly flats in 12 to 14 feet of water with cloudy days producing better results than sunny days . Presentations seem to change daily, as some days a minnow and spinner is the best, and the next day a crawler rig works better. We look for the walleye bite to be more consistent as the water cools down. We are also seeing the sunfish bite starting to pick up in macavity bay of cutfoot." (8/17) Duluth Area Guide and NMLOG Member, Dustin Carlson says that the Musky Fishing action is holding up really well. In fact, last week they one of his charters experienced back to back Muskies caught on two consecutive casts. If you've thought about booking a Musky trip, this could be the time! Fishing Report August 16, 2011 Jeff Sundin Another day of late summer, mixed bag fishing as we head toward the beginning of the pre-fall, warm water peak. On Monday, Walleye, Pike and Bass were on the agenda and it was as if they'd read a script that mentioned each of them to perform in "cameo appearances". This was one of those days where finding the fish wasn't the problem. We had fish under the boat many times during the trip, but every time I found a school of fish, we'd get one or maybe two and then the rest of the fish would lay on the bottom, staring up at us from below the water. There wasn't a lot I could do to change the pace, but as long as we kept chipping away, there would eventually be another highlight to add to the reel. I was really lucky because our goal was to see some new water and catch a few fish to release and we did release every fish we caught. Since there was no pressure to find a bunch of keepers, we had a lot of time to explore and ponder the reasons that the fish behave the way they do. We actually fished two seperate lakes and the fish acted similarly on each of them. 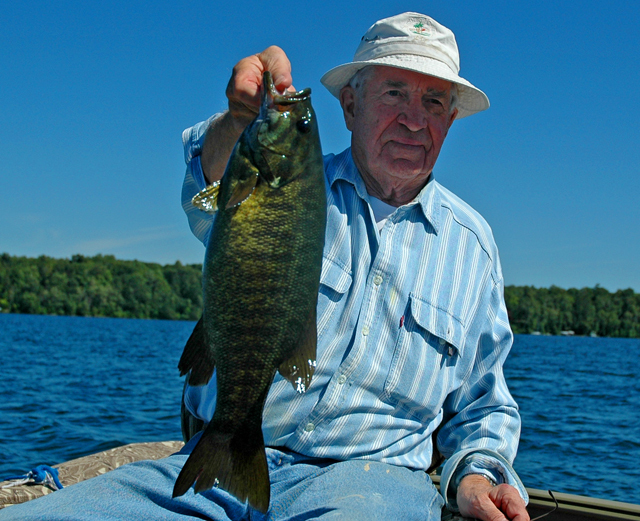 On this particular day, we noticed that for Walleye and Smallmouth Bass, there was no interest in Leeches whatsoever. In fact, there wasn't a lot of interest in Night Crawlers either. 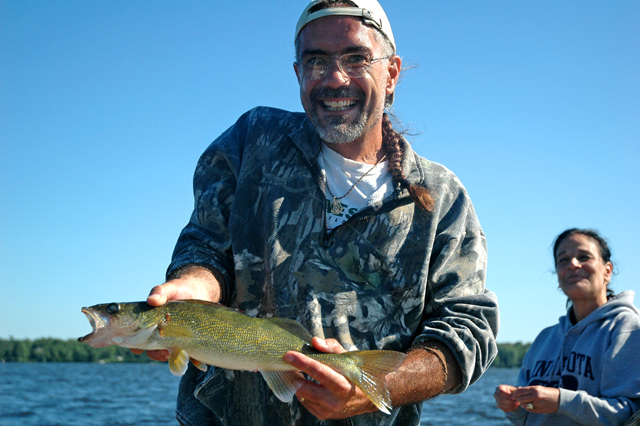 Large, lively minnows produced both Pike and Walleye and was the best presentation by far. I used up what was left of my Creek Chubs and Redtails early in the day, so we were forced to switch to Sucker minnows in the 6 to 8 inch range. The Suckers worked, but I wondered if we'd done better had I had some more Creek Chubs and Redtails. We were fishing on deep water points and sunken islands in the 21 to 35 foot range. The rigs were Lindy's No-Snag sinkers and a six foot, 18 pound test fluorocarbon leader and #1 Octopus Hook. It's rare to lose a Pike because the fluorocarbon helps protect against bite-offs and it is really effective. Another noteworthy event was the presence of aggressive schools of Sunfish. When we fished the weedlines with Night Crawlers and Leeches, we'd ocassionally encounter some really aggressive mobs of Sunnies. If I needed a bunch of fish for a fish fry, it would have been no problem to stop and catch a pile of them. This was probably the most aggressive fish I've seen lately and I'll have it in the back of my mind for whenever the timing is right for a panfish trip. If you've been thinking of some Sunfish yourself, try checking the outer edges of the weedline on your favorite panfish lake. The depth was about 14 feet and there were few, if any fish located outside of the weedlines. They were using that edge of thin grass that grows between the heavier Cabbage and the open water. Fishing Report August 15, 2011 Jeff Sundin Flat calm seas, sunny weather and the full moon of August combined to make one of those weird kind of "why did that happen?" days. If fishing conditions were tough on a certain day, then one would expect it to be hard to catch big fish, but maybe a little easier to get a few little ones, right? Then how come in the middle of all the stormy weather, with the sun beating down on a mirror smooth lake, we catch lots of big fish and almost no little ones? I'm not sure I know, but that's how fishing on the full moon of August always has been for me. Big fish for a few days, then back to reality for a week or so and then a nice run of really good action. If the pattern plays out like it does most years, then we're only 10 or 12 days away from a solid run of good, shallow water action fishing for Pike and Walleye. On Sunday, we continued fishing the flats patter on Lake Winnie. There are miles of mid-depth, flat water in the 13 to 16 foot range and the Walleye, Pike and Perch have been spread out horizontally accross these giant expanses. The easiest way to figure out where to fish, is to break the lake down into smaller sections by using the tops of the "Main Bars" as your starting point. The Bena Bar, Center Bar, Stony Point and Musky Bay all have good flats that connect to shore, but spread out into the mid section of the lake. There are lots more smaller flats too and anywhere that you find fish on your locator has potential to be a great spot. I start by cruising the flats, watching my Humminbird for signs of bait and larger fish. You could also cover a lot of ground by trolling the flats with crankbaits as well. We spent some time on Sunday trolling with #7 Shadlings at about 2.5 MPH and caught several Northern Pike as we searched for signs of larger schools of Walleye. Do whichever suits you, as long as you cover a lot of water, you're going to find some fish. The best baits for us were Crawler Harnesses with #3 spinner blades, trolled at about 1.1 MPH. The fish were widely scattered, but when I saw them, we got strikes. Bring plenty of crawlers, the Perch are going to be trying to get in on the act too. The good news is that there are starting to be some larger Perch mixed in and as we did on Sunday, you can pick up enough Perch for a great fish fry as you're working the flats for Walleye and Pike. There's more to come, but I'm hitting the road early this morning to try and beat the incoming weather. Please, check back tomorrow for more! Fishing Report August 14, 2011 Jeff Sundin For me, an unexpected day off and a quiet house on Saturday was a great excuse to start whittling away at a pile of paperwork. I thought maybe I'd reach the lake in the evening, but chores kept me busy, so my fishing had to be lived vicariously through my friends. I'll be back on the lake today and have a full report about that tomorrow. 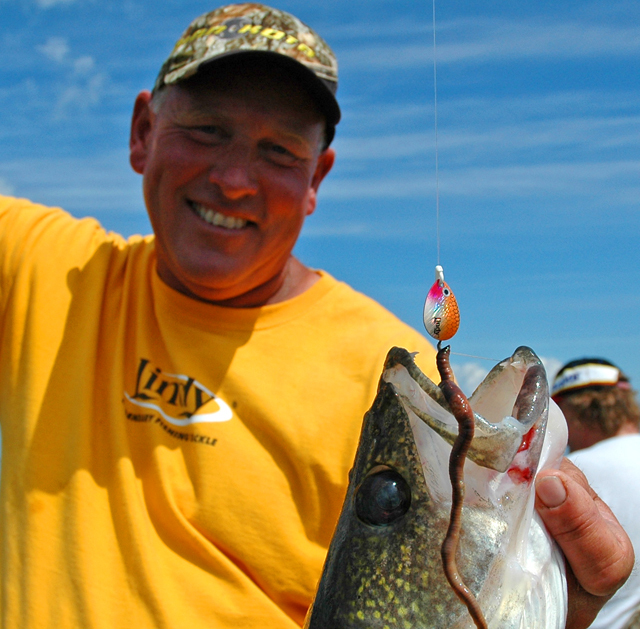 (8/14) On Lake Winnibigoshish, Fishing the flats is the key for anglers seeking Walleyes. Click here to read the entire Bowen Lodge, Lake Winnie Fishing Report. (8/14) Bemidji Lakes Area and NMLOG Member, Paul A. Nelson says; With cooler temperatures forecast for this week, anglers are breathing a sigh of relief and are enjoying a break from the heat, even if it may only be temporary. Walleye anglers continue to catch walleyes and perch on top of structure in 8-12 feet of water when there is some wind or cloud cover and off the sides of structure in 16-24 feet when conditions are less favorable. Lake Winnibigoshish has been the most consistent lake for walleyes this summer, but anglers have also been finding walleyes in Bemidji, Cass and Upper Red Lake. 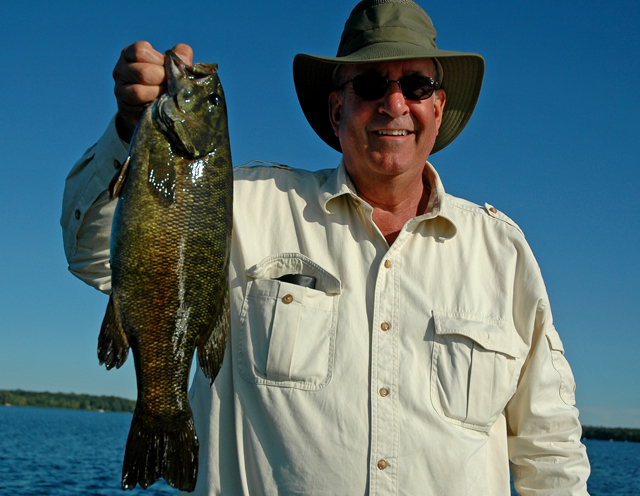 Leech Lake should be improving soon, with great fall fishing for walleyes and perch. Anglers have been catching walleyes using bottom bouncers and spinners with either night crawlers or leeches. Live bait rigs or jigs tipped with night crawlers or leeches will also work well when anglers locates some active walleyes and want to use a slower presentation. Northern pike have been active on the outside edge of the weed line, with anglers trolling Northland Forage Minnow Spoons or minnow baits like the shallow diving Windel’s Muskie Snacks in 6-12 feet of water. 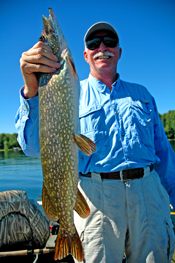 Anglers have also been using sucker minnows and bobbers for pike. 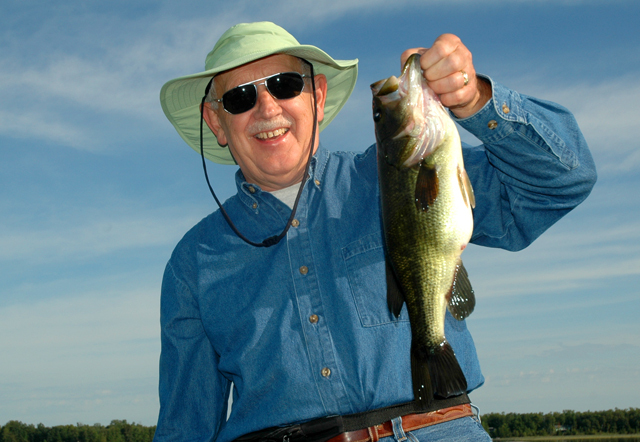 Largemouth bass have been using the heaviest weeds in the lakes, with most of the bass in 6 feet of water or less. Bass like edges between weed types or areas where rocks and weeds are mixed together in the same location. Anglers have also been fishing for perch on hard bottomed flats with some chara and rocks, so the perch can feed on both crayfish and minnows. Perch travel in schools, so anglers can troll or drift until they catch a perch and then slow down and fan cast the area to pinpoint the location of the school. (8/14) On Lake of the Woods, Mike Kinsella from Border View Lodge reports: Fishing is definitely picking up on the south end of the lake. Anglers using crawler harnesses in 22 to 25 feet outside of Pine Island have been bringing in nice fish. Downriggers have also been doing well in the same areas. Bait fishing has slowed some on the north end of the lake. Guides are starting to find downriggers to be more effective. We are also starting to see larger fish coming from the just off the reefs in deeper water. The trophy walleyes are definitely starting to snap! It looks like a gorgeous week coming up with highs in the 70s. There is a chance of showers here and there, but honestly, we could us a little rain. - Fish On! Fishing Report August 13, 2011 Jeff Sundin Fishing our way toward a grand finale' all day long was the theme on Friday. After a line of thunderstorms lit up the sky for most of the night, Walleye fishing started slowly in the morning, but began to pick up toward mid day. By afternoon, Bass action was good and even some larger Bass were coming out to play toward evening. We started our day on Bowstring Lake, where I felt confident that we'd catch enough fish for lunch, even if we had to settle for some small fish to do it. That turned out to be just about the way it worked. After trying two or three mid-lake humps and doing nothing but picking away at small Perch and Walleyes, we headed for the weedline hoping for a more active bite. It was active all right, we couldn't keep the small Northern Pike off of our Night Crawlers. They were crazy for them and no matter where I went, the Pike were always the fisrt fish to find us, Occasionally, we'd pick up a Walleye or a better Perch, but after a couple of hours of re-tying baits, we'd had enough of the small Pike and worked our way back out into deeper water. This time, it was a little better. We found that the tip of one bar had a school of fish on it and here we caught several small Walleyes and a couple of good keepers by fishing in 18 to 20 feet of water using Lindy's No-Snag Rigs tipped with Large Lively Leeches. It hadn't been a fantastic morning in terms of fish in the cooler, but we had a lot of action and we had plenty of fish for lunch, so we headed out from Bowstring to cook some. After Lunch, Bass fishing was on the agenda and we headed for one of the hundreds of small Bass lakes located in the Grand Rapids area. When we arrived, the water was flat calm and 75 degrees. We could already see where we wanted to fish because the Bass were boiling over the weed tops, just outside of the Bulrushes. Yum Dingers rigged Wacky Style seemed like a good choice for the active fish and it turned out to be the perfect choice. We tossed the worm toward the Bulrush edges and worked them out slowly over the Coontail tops. The Largemouth were more than cooperative and while most of them were on the small side, we had a handful or really nice ones too. The key to catching bigger fish was to key in on the pockets of deeper Coontail located just out the Bulrushes on the deeper breaklines. Theese isolated weed patches held few fish compared to the Bulrushes, but they fish they did hold were much better size. The 5 inch Yum Dinger, a #2 Octopus hook and a small zip-tie ( to extend the life of the worm ) was all we needed for the whole afternoon. The best color? We caught fish on everything we threw, but the Pumpkin with a chartreuse tail are the ones we liked best. (8/13) On Lake Winnibigoshish, Late summer patterns are in full swing. Fishing with faster moving baits and covering water on the flats is the key to putting fish in the boat. Don't expect to find a giant school of fish sitting in one spot. Instead, rig up some baits that you can move faster and start covering more ground. On Thursday, we set up Lindy Crawler Harness Spinners, tipped them with night crawlers and trolled on the flats at 15 to 16 feet of water. Our trolling speed was about 1.1 MPH and while I didn't see a ton of fish on the Humminbird, the ones I did see, were agressive and many of them struck the crawler rigs. (8/13) On Ball Club Lake, Gus' Place Resort. Gus says " Fishing has been EXCELLENT the last 3 weeks with our summer patterns unchanged. Walleye are spread out anywhere from 8-28 feet deep. Fish are along weed lines early & late, during mid day they are hugging the breaks 18-28 feet. The effective Walleye baits have been Lindy rigged leeches or crawlers 1/2-3/8 oz. slip weights and also Perch pattern and silver Rapalas trolled along weed lines. Surface water temps remain in the low to mid 70 degree range and the lake level is high but receding. As we move into cooler days this month patterns are likely to change, but for now the fish in the deep cold water of Ball Club Lake are not effected by the "dog days of summer". Perch & Northerns are on the bite in front of the "twin pines" area 8-18 feet deep, anchor, drift or troll for both of these fish using live minnows, fat heads for the Perch & suckers or creek chubs for the Northerns. Both of these fish are attracted to spinners; gold is a good color choice. 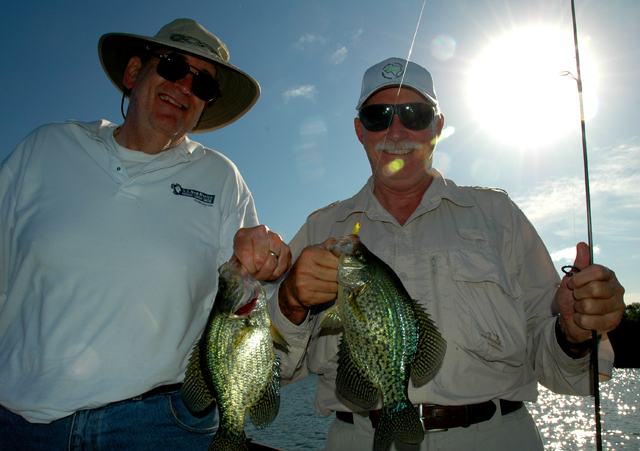 Crappie & Blue Gill have been few." Pictures will be posted on Saturday AM. Fishing Report August 12, 2011 Jeff Sundin Fishing in Northern Minnesota's Lake Winnie and Leech Lake area has its ups and downs right now. Actually, the fish are fairly cooperative, but the weather forces us to re-pattern the fish after each storm or cold front that passes through. Our recent trip up to Rainy Lake turned out to be no exception. After nearly a month of stable, dry weather on the border, the sky opened up on us when we arrived on Monday morning. After the rain, came the wind and for most of Monday and Tuesday, we spent our time watching out the window of the houseboats waiting for a chance to get into the fishing boats. All dressed up and nowhere to go, we killed some time fishing close to the base camp, but until we could get out on the main lake and get serious, there weren't too many fish in our boat. Once the weather calmed down, Wednesday was a good fishing day. Typical of Rainy Lake during late summer, there were a lot of fish on the main lake reefs. This time, 30 feet was a key depth for me and while we caught and saw other anglers catch fish on a variety of baits, the Lindy Rig and Night Crawler combination was really hard to beat. I like a six foot leader rigged behind the 3/8 ounce no snag sinker. Using this rig with a little finesse, you can really fish the rocks without getting snagged all day long. In fact, we only lost one sinker on the whole trip and it's a lot more fun fishing, than it is tying new rigs. On this trip, the fish we caught were a bit smaller than usual, maybe because of the mixed up weather. This was a blessing for us, because the yield of keeper fish in the 15 to 16 inch range was much higher than typical and were able to gather some fish in a hurry for the fish fry. As usual, I'm behind, so I'll get caught up some more in the morning. In the meantime, Have a great day and a great weekend! Fishing Report August 8, 2011 Jeff Sundin On my way to Rainy Lake this morning. I'll have plenty to report and lots of pictures when I get back on Thursday morning. See you then! Click here for an updated Lake Winnie Fishing Report on the Bowen Lodge page. (8/8) On Leech Lake, Northern Pike are using deep points and small sunken islands on the lakes deeper water locations like Walker Bay, Kabekona Bay and Agency Bay. Lindy Rigs with an 18 pound test Fluorocarbon leader, tipped with 6 to 8 inch Sucker Minnows will do the trick. Scan the points and inside pockets until you find some fish, if they're Pike, it won't take long to figure it out. (8/8) Bemidji Lakes Area and NMLOG Member Travis Giffen reports; " The Red Lake River is Red Hot! After a busy summer of high water conditions, the river level has finally settled in to its "norm" and well within its banks. The smallies are schooled up and hungry hitting our topwater presentations. 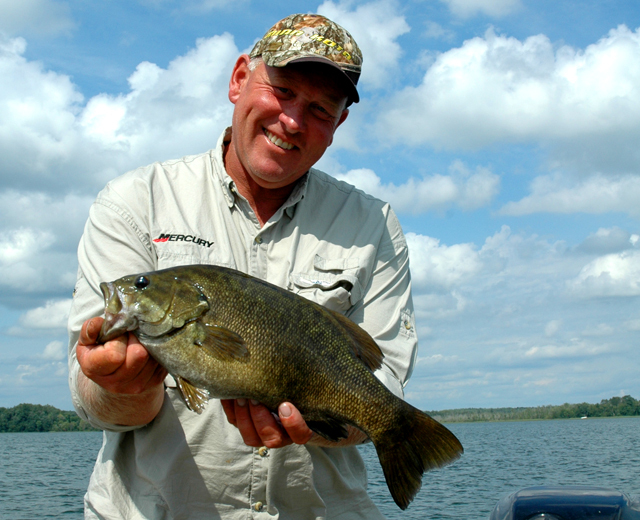 Last Sunday we finally called it a day after catching over forty smallmouth with many of the lunkers willing to bite. The usual bonus walleyes and goldeyes were mixed in as well. A large rainfall could disrupt this pattern for a few days, but other than that, this bite should continue well into the fall. Take care, and stay safe". Heads up. I'll be heading out today for a few days on a "Busman's Holiday" with some friends. 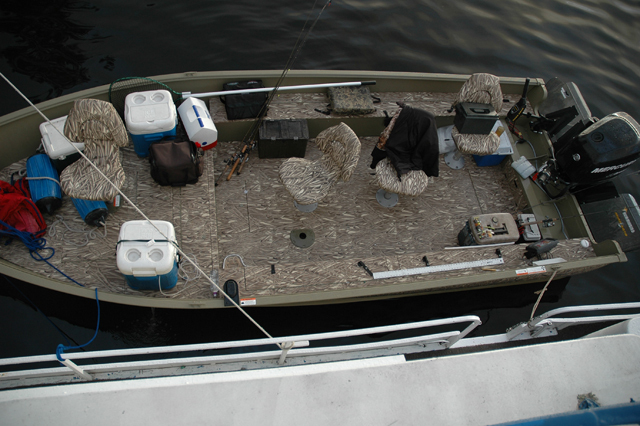 We'll be on a House Boat on Rainy Lake and I'll be out of range to update the reports, until Thursday Morning. If you spot us out there, be sure to wave! (8/8) From Wired2Fish, Haven't you wondered how to pick the right Bass fishing bait at the right time? Matching your presentation to the fishing conditions makes all the difference and Wired2Fish has a feature about selecting the best Bass baits. Click here to Learn More . 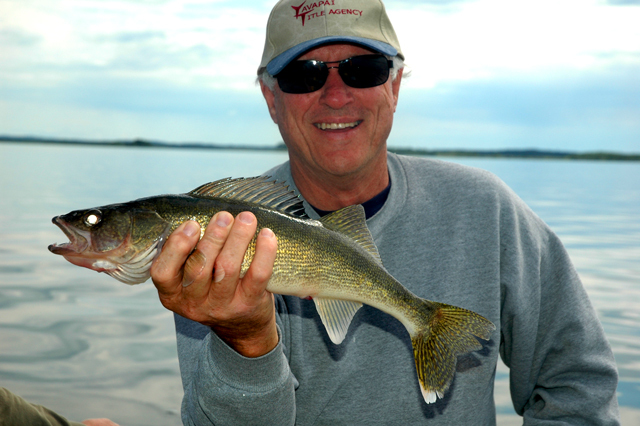 (8/4) On Leech Lake, Ron from Anderson's Horseshoe Bay Lodge says that the humps out in Walker Bay in deeper water are producing walleyes early & late with Lindy rigs & crawlers. If there's a breeze, trolling crankbaits over the rock humps in 10 to 12 feet of water is producing some fish too. Preferred colors are Perch and Crawfish. The SW side of Leech lake by Horseshoe Bay. Scattered perch & northerns being caught trolling for wallleyes. The water temp in the harbor is almost 80 degrees. (8/4) On Leech Lake, Darcy from Tonga's Launch Service reported that Dan has been having some good Perch action when the wind blows. On calmer days, it's a tough bite but they think that the the fish are getting ready to turn on. (8/4) Bemidji Lakes Area and NMLOG Member Ryan Klein, reported that Leech Lake has been okay, but not on fire. He's been catching some fish on the West side of the lake early and late using spinners with crawlers on the big rock reefs in shallow water, 5 to 7 feet deep. During mid-day, they're moving out deeper and then he's been fishing with Lindy Rigs and Leeches. The deeper weed edges in Walker Bay are producing fish in the 12 to 17 foot range. 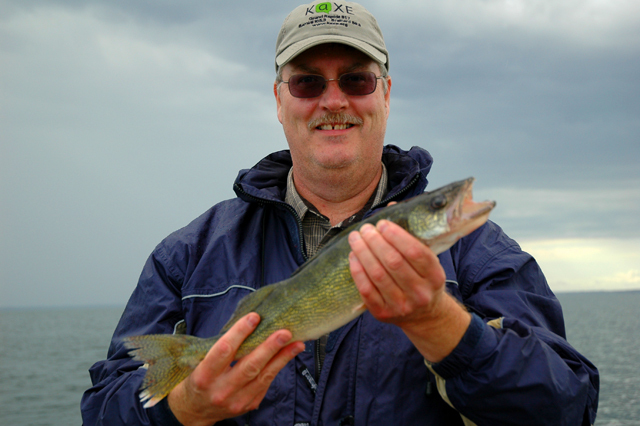 (8/3) Bemidji Lakes Area and NMLOG Member, Paul A. Nelson says; Anglers have been catching walleyes in a variety of locations in most lakes. There are some fish shallow using the tops of humps and bars with some chara or rocks to hold crayfish and minnows. There are also walleyes on the sides of structure either on the outside edge of the weed line or off the sides of humps, bars and shoreline points. The best walleye bite has been on days with stable weather. Fishing has been tough on most lakes for walleyes on the day after fronts or on days with little wind. The best lakes for walleyes continue to be the larger lakes like Winnibigoshish, Upper Red Lake and Lake of the Woods, but anglers on Bemidji, Cass and Leech are also catching walleyes when the conditions are right. Multi-species anglers have an advantage during the dog days of summer, because they can stay on an active bite by switching species. Most of the lakes in the Bemidji area have several different species of gamefish as well as one or more species of panfish, so anglers have plenty of options if they plan ahead and bring with a couple of rods rigged for different species. Northern pike, bass, sunfish and perch are all most active during the day, while walleyes, muskies and crappies are notorious low light feeders and are most active in the mornings or evenings or on days with cloud cover. Anglers willing to switch species during the day based on the conditions are able to stay on an active bite instead of watching the bite slowly fade and die away like it can when fishing the dog days for walleyes or muskies. (8/3) On Cutfoot Sioux, mid summer fishing patterns are emerging. Bryan Harris at Eagle Nest Lodge says that their guests are finding some nice Bluegills now. Bryan is also reporting an improvement in the Northern Pike fishing on Cutfoot Sioux. 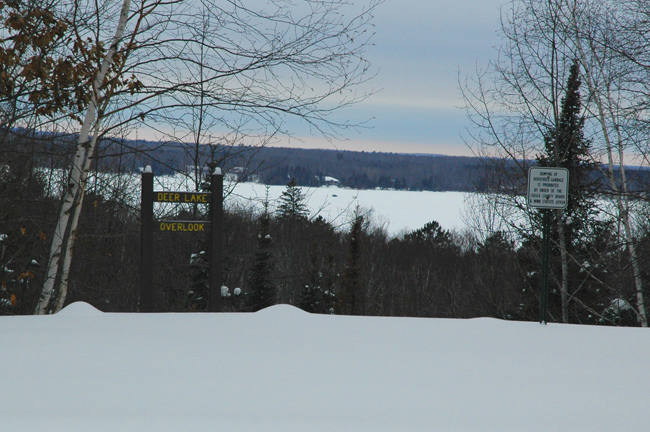 Walleye action on the popular bars near the resort have yet to turn on, but should be soon. 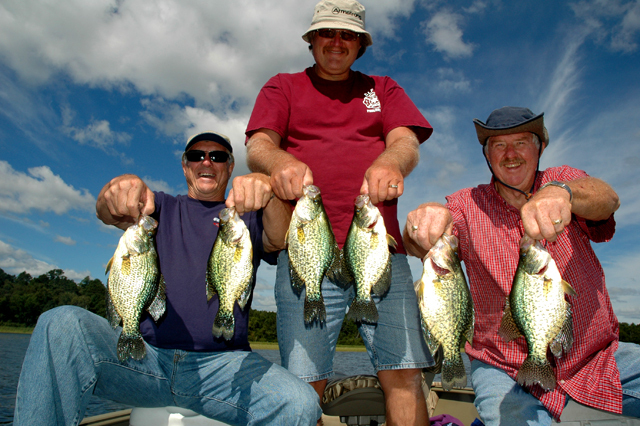 (8/3) On Bowstring Lake, Darv Oelken at Bowstring Shore Resort reported that; "There have been a few crappies caught down by the rock pile. Perch have been caught in the 12-15 feet using a crawler. Walleyes have been biting pretty well down on Goettl's Bar with a leech and jig and picking up a few on the south rock pile with a spinner and minnow. 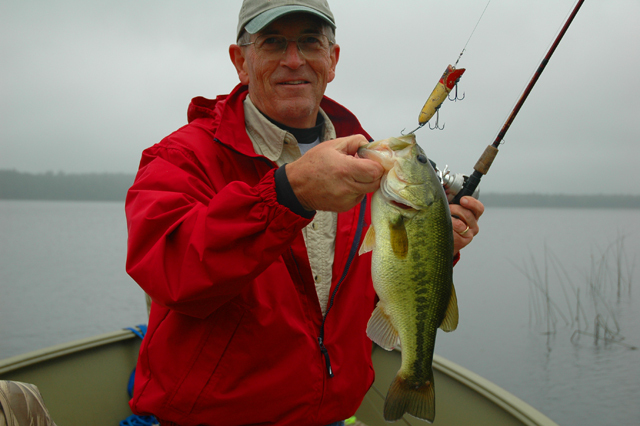 (8/3) On Lake Winnie, John Seelkon at The Pines Resort says; "This week most of our reports are by anglers who are trolling crankbaits in the tamarack point area. Trolling outside the weedline in 12 to 16 feet has been productive for 14 to 16 inch walleyes and also some 4 to 6 pound northern pike. We are also hearing about a bite starting on the north shore in 12 to 14 feet by anglers using nightcrawlers." (8/3) On Ball Club Lake, Gus' Place Resort. Gus says that the mid summer patterns are locked in for Walleye, Perch and Pike. In his own words; "Walleye are dispersed, both shallow & deep shallow (7-9ft and 14-18ft.). Fishing has been excellent during pre-storm periods and good otherwise trolling Gold spinners, Lindy rigged leeches with 3/8th oz. slip weights. Siler & Blue Rapalas are also working very well at this time. Fishermen are catching & keeping 19in. Walleye daily. 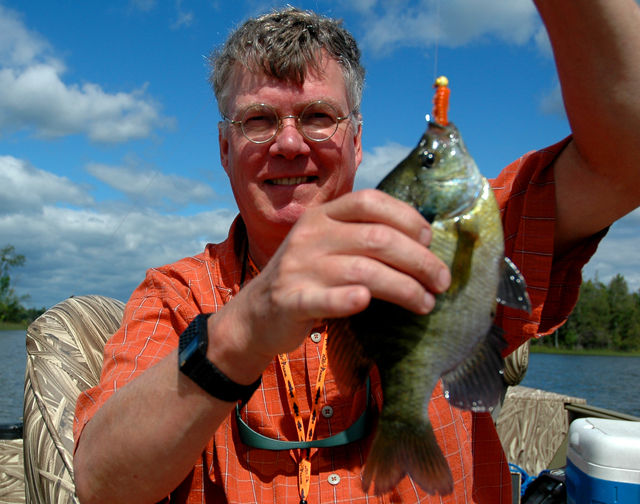 Perch & Northerns are active 8-15 feet, with the bigger fish deeper. Productive areas have been the East shore just north of the Twin Pines using live suckers for the Northerns & Fat Heads for the Perch. Fishing Report August 7, 2011 Jeff Sundin After having really good Northern Pike fishing on Friday, our hopes for a grand finale' of Walleye fishing on Saturday were heightened. But I'm afraid that the line of thunder storms that rolled through the area on Saturday night really made fishing tricky for me on Sunday. Luckily, I had a really understanding crew and we fished the best we could, dragging in at least some modest fish. If there was anything that I could call a pattern, I guess it would be fishing with Lindy Rigs on the weed edges. There were small groups of fish scattered along the edges and in small clear spots within the weeds. Lively Leeches produced the fish we did catch. By today, (Sunday) the recovery will begin and I'd expect to see patterns return to what they were before the storms blew through. Click here for an updated Lake Winnie Fishing Report on the Bowen Lodge page. Fishing Report August 5, 2011 Jeff SundinThe Hastings effect finally kicked into high gear on Thursday as we were rewarded for putting in a couple of industrial strength work days. We'd been trying to catch Pike and maybe a Musky by fishing for them our favorite way, casting. Unfortunately, the fish weren't buying that strategy and forced us to make a change to deeper water tactics. Luckily, that strategy finally paid off. The decision was to head for deeper, cooler water and do whatever it took to root the Pike out of their late summer haunts. We headed for a deep lake, known for better than average summer Pike and Smallmouth Bass fishing and started the search. When we arrived, the surface temperature was 77 degrees and the lake's surface was broken with a slight ripple, just enough breeze to drift the boat along a narrow mid lake bar that sometimes holds a mixed bag of Smallmouth and Pike. We started with a mix of jigs and live bait rigs and used a variety of baits on each. The Pike weren't here, but there were a few Smallmouth Bass, one for each of us. We caught one on a jig tipped with a 4 inch white twirl tail, one on a live Leech and the third on a jig-worm. After we looked at a few other spots, we figured out that the Smallmouth were fairly active in the 12 to 20 foot depth range, but we weren't finding any Pike. Not in the weeds, not on the rocks and not on the shallow edges of the bars. That meant it was time to start looking deeper and just before lunch time, we found our first couple of Northerns on a deep point, holding at 28 feet of water. These were taken on a Lindy Rig using a 7 inch Sucker Minnow. Just to be sure that we were really convinced of being on the right track, we had one last minute double of a nice Walleye and Pike at the same time. After lunch, we knew that making Pike our first priority was the best way to please the "Head Honcho", so we switched all of the rigs. Now we were all armed with Lindy Rigs, 3/8 ounce No-Snag Sinkers to help keep us out of the rocks and six foot leaders tied with 17 pound test fluorocarbon line to minimize bite-offs. First spot, the same deep point that we'd been fishing just before lunch. Kris, Mike and Barry had just dropped their baits in the water and before I was even baited up, Kris had the first Pike, a hefty 28 incher, next Barry and Mike were both reeling at the same time too. Nice way to start the afternoon, a triple! we stuck with the deep water strategy and within a couple of hours, had our limits of nice, chunky eating size Pike. There is such a thing as good luck! Note: A word of caution. The crew would have happily kept on catching and releasing Pike, but I just simply couldn't do that! If you're going to try this, catch the Pike that you want to eat, be happy and then quit pestering them. Dragging Pike out of deep water is un-believably hard on them and even though they appear to swim away healthy, they are likely damaged by the struggle. There are times when we all want some fish to eat and that's okay, but this particular method should be viewed as a form of harvest and not as a sport. Instead, for some excitement we returned to fishing Smallmouth Bass for a while and this was a great way to finish off the day. By late afternoon, the Smallmouth were hanging on the shallow edges of the bars in 12 to 14 feet of water, They were ready for action too! in our last hour of fishing, we boated and released another dozen or so and it was the perfect finale' for a great trip. Fishing Report August 3, 2011 Jeff Sundin I was skeptical about the outlook for good fishing after another line of thunderstorms blew through the Itasca area on Monday night. Luckily for me, the windy mixed up weather continued for most of the day on Tuesday and the fish continued to feed. The mixed bag, action bite continued to be a viable option. The only down side, winds made boat control interesting, but we managed to hold it together for a great outcome. There wasn't anything that much different than what I reported yesterday, except that I was able to refine the system a bit. Our best fishing areas were weedline points and mid-lake structure that contained weeds. Because of their close proximity, fish appeared to be literally mixed, but each species had a slightly different habitat preference. Sunfish were holding tight to the weedlines and if I allowed the boat to slip into the weeds, Sunfish action would go into high gear. Walleye and Perch had a preference for the small clear spots in and around the weeds. It didn't matter too much if the clearing was inside the weedline in shallower water, or outside the weed edges in deeper water. The presence of light rock made the spots better for Walleyes and again, there was a definite correlation between Walleyes and Clam Beds. In the spots where we occasionally snag a clam, there always seems to be more Walleyes, Perch too. I'll let the biologists explain that, but for me, there's no doubt that Calm Beds are good for Walleye fishing. Our presentation was 100% Lindy Rigs tipped with Leeches and all of the fish loved that bait. I tried to single out some Perch by switching to a jig and minnow, but it didn't produce results. Likewise, I tried to single out the Bluegills by switching to small jigs tipped with cut pieces of worm, this was snubbed too. I did catch a few by using a cut piece of a leech, but it was not nearly as good as the whole Leech on the rigs. Water depths varied, but the range of productive water was from 12 feet to 18 feet. When I looked at open water spots, deeper than 18 feet I saw nothing but blank screen on my Humminbird. The system works on any lake that has multiple species of fish and good weedline spots. This is a particularly good system for lakes that depend heavily on stocked Walleyes because the majority of stocked fish spend their lives in the weeds. Today, I'm going against the odds, we're going to do some casting for Northern Pike, Musky and maybe some Bass too. There have been some good reports about the Pike action on Leech Lake, so that's my destination, at least to begin with. I'm anxious to get into some good Pike fishing and if we do, you'll be the first to know. Fishing Report August 2, 2011 Jeff Sundin Fishing with long, long time customers and friends, I always want to do my best work. But on Monday, I had to burn up a few extra brain cells before we got into high gear. Thunder and lighting put a damper on the morning fishing, but eventually the Hastings effect kicked in and we were able to stage a late game recovery! The goal seemed simple, get enough Walleyes and Perch for lunch and then go casting for some Pike. We've done that dozens of times without too much trouble. Heading for Cass Lake, we were optimistic because I'd just been there a few days ago and while the Walleye fishing wasn't hot and heavy, it was reliable and the fish were really nice size. Couple that with the fact that I've had particularly good luck on that lake with Kristin Hastings in the past, the idea seemed like a shoe-in. Not so fast, we scanned spot after spot, stopping to fish each time we saw signs of a school of fish. They were just not cooperating. In fact, the more fish I spotted on the screen, the less action we got and by noon, it was obvious that we'd be heading for other waters. I called a special meeting of the executive fishing committee and mentioned a smaller lake in the Cass Lake Chain where I thought we might get a hodge-podge of different fish. Maybe not a lot of any one kind, but at least get some action and still be in the game for Walleye and Pike. That sounded good so we trailered the boat up North a little and dumped back in. The weather was still mixed up and the gusting wind made fishing on certain spots a little crazy, but eventually we managed to settle down. Once we did, the hodge-podge bite started to emerge and the smiles began to appear. By the way, that helped a lot too! We tried a variety of presentations including jig and minnow, jig and night crawlers, Lindy Rigs, Whatsits, curly tails, spinner baits and plastic worms. Eventually, we found that an 1/8 ounce jig with a 4 inch curly tail fished on the weedline in about 16 feet of water was the best action bait. On these we caught Northern Pike, Bass, Walleye, Crappie, Rock Bass and Perch. Not a lot of any, but some of each. After checking several spots, I found a school of Walleyes on a small, mid-lake hump. They were in 16 feet of water, just outside a weed edge. Here, a Lindy Rig tipped with a Leech would be the tool that helped us save the day. Between 5:00 PM and 6:30 PM, we caught the Lion's share of our total catch for the day and in the end, wound up with a nice cooler full of fish. Once again, had we thrown up our hands and said that the cause was hopeless, we'd have missed out on the best fishing of the day. If you've been reading the reports throughout the summer, then you've seen this thread woven into almost every week. There is such a thing as good luck, especially the kind you make for yourself! Fishing Report August 1, 2011 Jeff Sundin Where does the time go? Goodbye July and welcome August. Here we are at the doorway to the late summer transitions and we'll be seeing some major changes in fish behavior really soon. Fall fishing is just around the corner! But for now, it's still summer and the late summer patterns are settling into place. On Sunday, Smallmouth Bass fishing was on the agenda and the weather was right for a return trip to the Giant, Lake Mille Lacs. By now the Bass have been heavily pressured on the popular spots, but even so, the allure of catching some big fish, was enough to get us down there again. The conversation on the ride down centered around how we'd approach the presentation of lures. We knew that the pressured Smallmouth don't stay on top of the rocks forever and the question we were asking each other is "where do they go when they're not up, on top?" Luckily for me, part of the answer came up and bit me on the nose as we landed on our first spot and Joe dropped in his drop shot rig. I hadn't even made it to the rocks yet, when out on the flat, in 11 feet of water, Joe said, I've got one! Well okay then! For the first half hour, Joe caught several more of the scrappy fish and it was starting to look like the drop shot was going to be the only rig for the rest of the day. You know what? I think it would have been, except for soon, the area was filled with other anglers, also targeting Smallmouth, just like we were. Once the fish were feeling the pressure, the easy action stopped and even when I marked fish on the graph, they would let us pass by unless we used live bait. In spite of the sheer size of the lake, the fish find preferred structures and stay near them. You can't just go anywhere and many of the most productive areas are well known by the savvy anglers that fish MilleLacs. By the end of our day, we'd learn that the secret to keeping the bite alive, is to keep finding "new spots", that haven't been so heavily pressured. Along the way though, we learned some new approaches, figured out some new tricks and made a few mistakes. Don't get me wrong, we caught plenty of fish, more than enough to make the trip worthwhile, but I learned how I could have made it even better if I'd avoided a couple of common pitfalls. For most of the day, I looked for Bass in obvious spots, large rock reefs with shallow tops. On these spots, we caught fish that had obviously been caught before, missed others that would strike short and in many areas, watched other anglers catch the fish that we'd hoped to catch ourselves. I was relying too much on finding fish based on tips from friends and spent too much time fishing the same, obvious structure that everyone else was finding. Once I trusted myself to use the tools I have and rely on my own judgement, we started doing better. 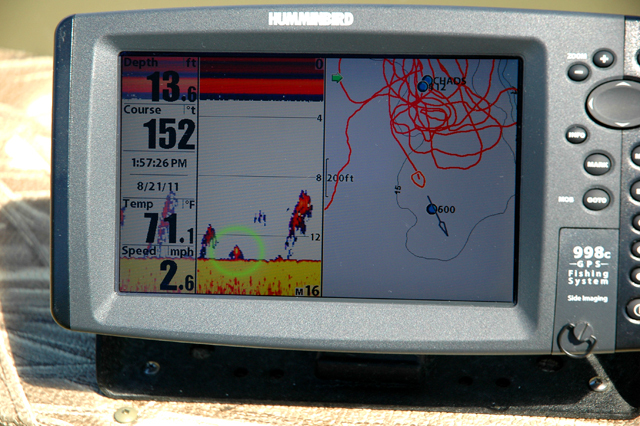 The tool that made the most difference was my Humminbird 998. I set up the shallow water warning on the chart to 10 feet. Now, all of the areas shallower than 10 feet showed up in Red. Next, I started watching for the little dots, instead of the larger reefs and major flats. Checking out the smaller, isolated spots led us to some un-tapped fish. The three best fish of the day came from one of these little rock piles and they were crushing hits by aggressive fish. The kind of strikes that made me think that these fish had been flying under the radar. I would really like to be fishing there again today, just so I could give my theory a better workout, but I'm guessing that it's not too far off the mark. Our best presentations depended on where we found the fish. In water deeper than 10 feet, the drop shot rig was the top producer, probably accounting for at least half of the total catch. When I marked fish on shallow rock breaks in 5 to 7 feet, the 4 inch Senko type worms rigged wacky style accounted for some fish and so did a simple 1/16 ounce jig head tipped with a live night crawler. Today, faster moving baits like curly tails or jig worms were ignored by the fish. Today, we'll be switching gears, casting for Pike and maybe even a musky Leech Lake is the destination and I'm hoping to gather up information for a major update on Wednesday. Hey, Have a great day! (August 2011) Smiles are always welcome! I AM. !! 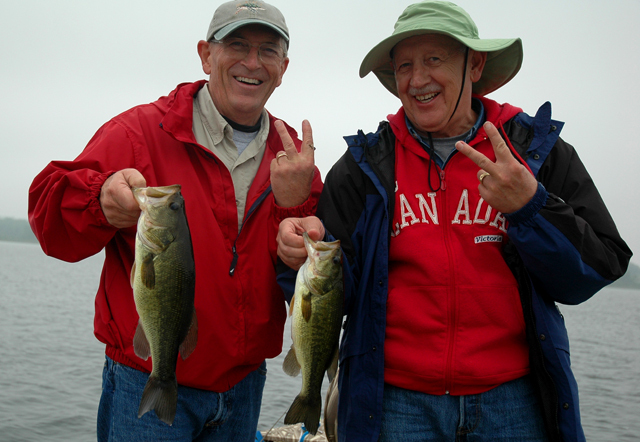 Bill and Fred Moore fisnish off the last spot on the last day with the Daily Double, Daily Double! Twice! The Lucky 13, Bill Moore bought when he was ten years old. Hey, there is such a thing as Good Luck! Ya Know? Wacky Worms accounted for about 1/3 of our fish, including this hefty Grand Rapids special. Walleyes on Bowstring took to the flats and suspended on Monday. Will they go back to mid-lake structure? or are they heading for the weeds? For 2011, Bowstring Lake features a nice run of 18 to 20 inch Walleyes. On Sunday we headed back over to Bowstring lake on Sunday and "buzzed" this favorite spot. 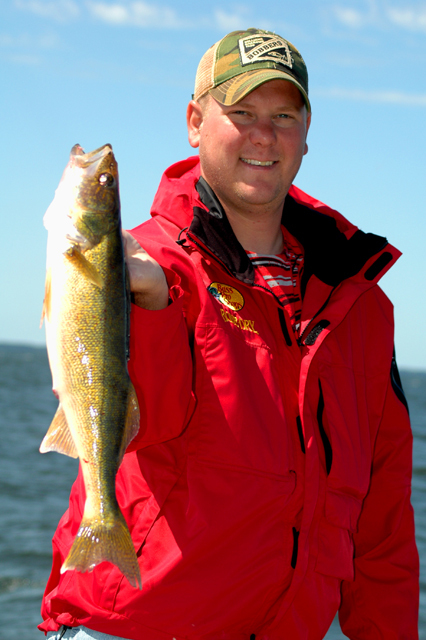 Walleyes were on the outer edges of mid-lake humps, holding at 20 to 22 feet. Look! They did it! Nice Crappies for the Lewerke crew, just in time for lunch and then back out to Buzz the Walleye hole! Late summer, mixed bag of Crappies and Walleyes. Crappies cooperated for Vern and Jim! 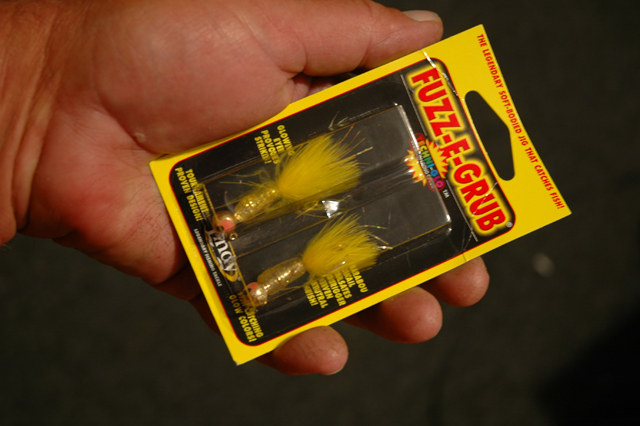 These two were caught fishing in 20 feet of water using 1/8 ounce Fuzz-e-Grubs. Nice Smallmouth Pete! The lunker hole was offering up giants of a different stripe on Thursday. A hefty 30 inch Pike caught on a Lindy Rig and Creek Chub. Fishing the pockets in the sloppy weeds was the key to Bluegill action. In thick weeds, heavier jigs like this Whatsit fished a few inches from the bottom tricked a lot more fish. Bluegills were hiding in small open pockets. Hard to beat a couple of meals of nice Bluegills. Got any Dill Sauce? Billy Rosner with one of Rainy Lake's solid Walleyes. 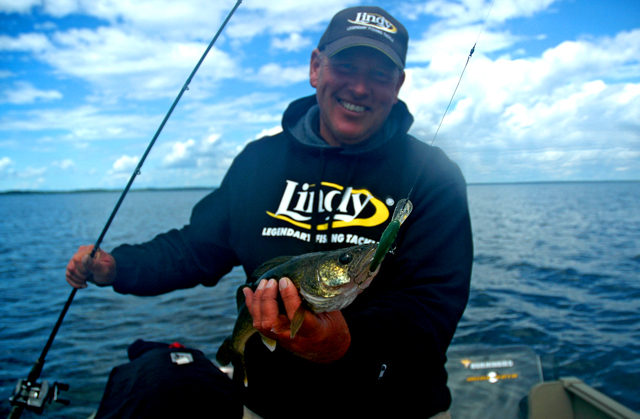 Lindy Rigs tipped with large minnows was the top producer! Early sign of fall Crappies. This one struck a Whatsit Spin on the drop. Matt Dahl shows off a nice Walleye caught on a Crawler Harness in 15 feet of water, on the flats. Weedline Walleyes for lunch anyone? Lindy Rigging with a Creek Chub was a great way to encourage a mixed bag of Walleye and Northern Pike. Bonus Smallmouth came on a Lindy Rigged Night Crawler. Julie Mills with a hefty Walleye from Lake Winnie's mid-lake flats in about 15 feet of water. A Crawler Harness with a #3 Spinner trolled at about 1.1 MPH does the trick. Courtesy Gus' Place Resort, Ball Club. 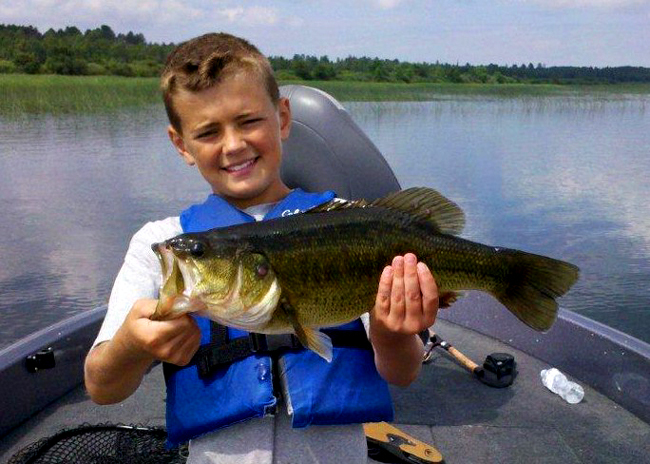 Dawson shows off a great Largemouth Bass caught on a Black & Orange Suick. A 5 inch Yum Dinger rigged Wacky Style was the perfect bait on Friday afternoon. Most fish were in heavier Coontail, on the deeper Bulrush edges. 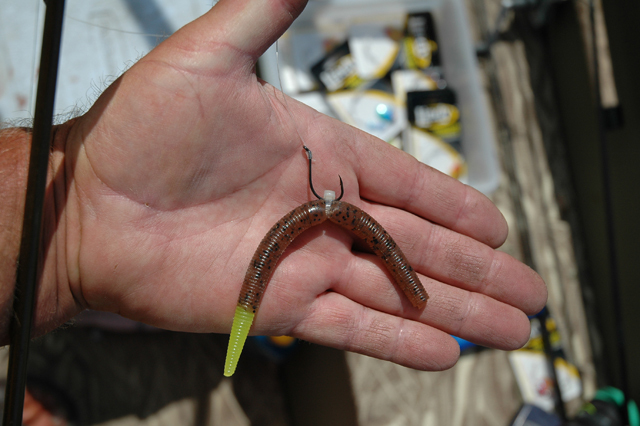 We rig the wacky style worm with a small zip-tie to extend worm life. Some fishermen prefer a 3/16 o-ring, I like those too. During the afternoon, Bass fishing was a great way to pick up the pace. Fish got more agressive and larger as evening approached. All dressed up and nowhere to go. That was the story for the first day. Luckily, the weather improved toward the end of our trip. Once the weather straightened out, our lines started getting stretched. Lots of fish in the 19 to 21 inch range this year. Just before lunch, this nice Walleye & Pike double header set the tone for our afternoon, the Hastings effect was kicking in! First stop in the afternoon yielded a Northern Pike Triple. Nice start to a great afternoon! 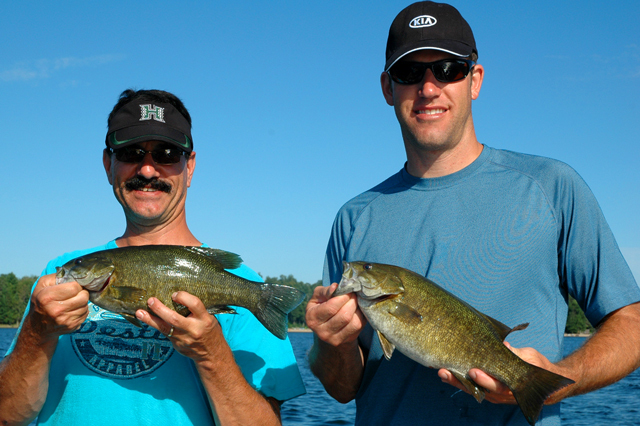 The Grand Finale', Mike and Barry fisnish off the day with a Smallmouth Double. Well Okay Then! Let's try that again sometime. Mixed bag of Walleye, Sunfish and Perch kept Alec busy for most of the day. Lindy Rigs with Leeches on the weed edges did the trick. Okay, the fish fry is on! Walleye, Perch and Sunfish on the menu. It took a while for the Hastings effect to kick in, but eventually it did and we staged a really nice 11th hour comeback! Mixed bag fishing helped with the smiles and smiles helped with the mixed bag fishing! Hmmm...that rain coat looks familiar, someone else must be wet?